Size: W. 1004, D. 246, H. 188 mm. Colours bracket: White, black or aluminium. Classic coat and hat rack aptly named Nostalgi. The brackets are manufactured, as they’ve always been, from melted scrap aluminium and joined with wooden rods. If you need a wider rack just add the extension part (adds 1 meter to the overall width). 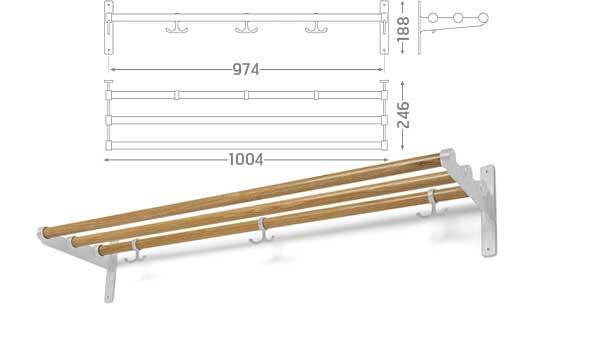 Three hangers in the colour of the brackets are included in each set.